When it comes to heaters, proper installation, maintenance, and repairs are crucial to not only keeping your home warm and running energy efficiently during the cold months of winter, but also ensuring that those in your home or business are kept safe from the dangers associated with carbon monoxide. Carbon monoxide is a colorless and odorless gas that is emitted from older heaters as the heat exchanger ages and develops cracks. If this gas is leaking from your furnace and there's insufficient venting, it can irritate your eyes, nose, and/or throat or if allowed to build up in large enough concentrations, lead to carbon monoxide poisoning and death. Because heaters can potentially pose very serious health risks, Zodiac Heating and Air Conditioning goes above and beyond to provide the best possible heater repairs and service. In addition to addressing the specific issues a client is experiencing with their furnace, we also make it a priority to assess the heating system as a whole anytime we provide a heater service call, which includes a thorough diagnostic check for safety issues and other problems that could potentially turn into costly repairs or cause inconvenient breakdowns in the future. Every heater/furnace service is performed by a NATE-certified and factory trained technician who has years of experience repairing both residential and light commercial heaters. 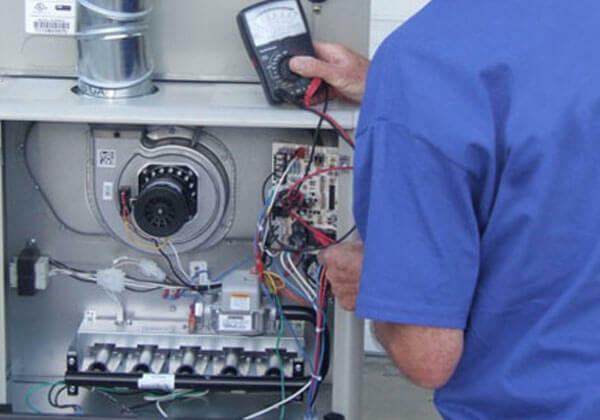 They are qualified to repair all types of furnaces and all major brands, including Carrier, Goodman, Trane, Lennox, Day & Night, and Rheem. Our techs have access to all of the latest HVAC diagnostic tools and equipment and keep their trucks well stocked with the most commonly need replacement parts, so they arrive with everything they need to accurately diagnose and fix the vast majority of heater problems on the first visit. Call us today to schedule your heater/furnace repair in Van Nuys, Calabasas, Woodland Hills, Tarzana, Santa Clarita, Simi Valley, Valencia, or any other nearby city. We provide upfront pricing and bill by the job, not the hour. Once we provide you with a quote, we stick to it--even if the job takes longer than expected. Our prices are very competitive, and we stand behind our heater repairs with a 90-day parts and one-year labor warranty. If you are interested in receiving priority service and a 15% discount on air conditioner and heater repairs, consider becoming a Maintenance Member. About Zodiac Heating & Air Conditioning, Inc.
Zodiac Heating & Air Conditioning, Inc. is a full-service, licensed and insured heating and air conditioning contractor based in Van Nuys, CA. We've served more than 10,000 customers across the San Fernando Valley region over the last three decades, and have built an excellent reputation for superior HVAC service at a fair price. We're a Carrier Factory Authorized Dealer and a three-time Carrier President's Award winner. We encourage you to read some of our glowing reviews on our Reviews page.